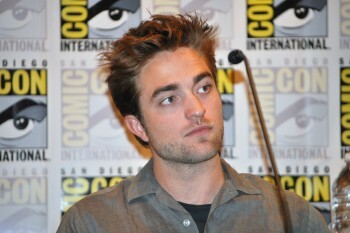 Robert Pattinson News: 'Breaking Dawn Part 1' Extended Edition On The Way! 'Breaking Dawn Part 1' Extended Edition On The Way! March 2nd will be a day of rejoicing in the Twilight fandom. 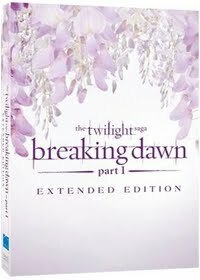 Today Yahoo broke the news that on that day, you'll be able to get your hands on the Breaking Dawn Part 1 Extended Edition (U.S.). It reportedly includes EIGHT MINUTES of "fan favorite scenes from the book" that were cut from the film. Here's the teaser. ET also had a short preview of the Edward and Bella scene included in the extended version. Santa Monica, CA (January 7, 2013) - Here is the chance to discover even more of the blockbuster film when The Twilight Saga: Breaking Dawn - Part 1 Extended Edition, featuring eight minutes of never-before-seen footage, debuts only on Blu-ray Disc (plus Digital Copy and UV), DVD (plus Digital Copy and UV) and Digital Download on Saturday March 2nd from Summit Entertainment, a LIONSGATE company. Now with eight minutes of new and extended scenes added back into the film by Director Bill Condon, along with his optional audio commentary, fans can delve deeper into the epic series they adore. Experience the timeless romance and drama in a whole new way when The Twilight Saga: Breaking Dawn - Part 1 Extended Edition, featuring the original theatrical version and the all-new extended edition with optional audio commentary from the director, arrives on Blu-ray Disc and DVD for the suggested retail price of $29.99 and $22.98, respectively. 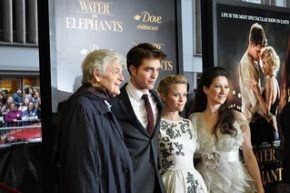 "As Twilight series devotees know, there was a lot of ground to cover in adapting Breaking Dawn to the screen," said Condon. "Between the wedding, the honeymoon, the birth, and everything in between, naturally there were things that didn't make it into our final cut. But I wanted to make sure that for all the Twihards out there, there was a chance to see some of these cut scenes - several of which are fan favorites from the book." The Twilight Saga has held its spot as the top-selling home entertainment franchise since 2008 and The Twilight Saga: Breaking Dawn - Part 1 took in $281.3 million in domestic box office sales after its release on November 18, 2011. The worldwide phenomenon continues to ignite a huge following of passionate and loyal fans that have driven the success of the Saga from the beginning. The Twilight Saga: Breaking Dawn - Part 1 Extended Edition now featuring additional footage, presents the marriage, honeymoon and the birth of a child that brings unforeseen and shocking developments for Bella and Edward and those they love, including new complications with werewolf Jacob Black. - A new version of the opening credits. 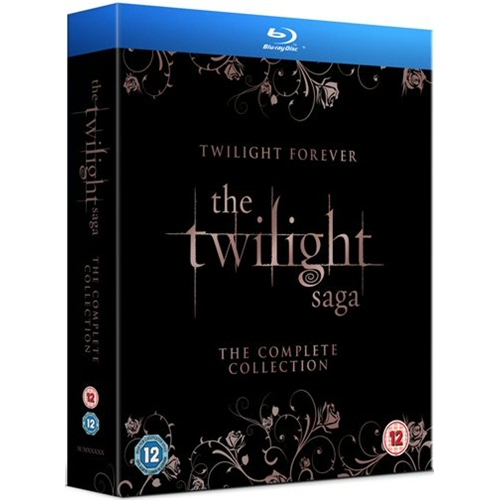 And while there's no word on when/if the UK will get its special version, The Twilight Saga: The Complete Collection is on its way. Here's a look at the pretty cover art. Finally, for those of you with Showtime in the U.S. - Breaking Dawn Part 1 is having its premium cable premiere January 12th at 8pm (EST). rjcarreno33 saw an ad, and we just found it on our TV schedule and on their site. It's also during Showtime's free preview weekend, so you can watch even if you're not a subscriber! Here's a low quality (kind of) teaser for it and the schedule when you can watch it!